When Volkswagen announced than an all-new, all-bigger 2018 Tiguan would be coming our way, I know many of you were very nervous about the fate of the current model. Fear not, fans of mediocre crossovers! 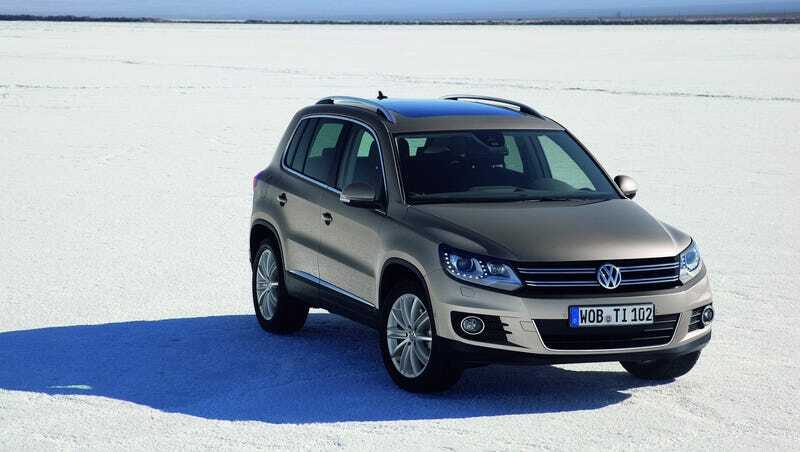 The Tiguan you know and love will live on, as the Tiguan Limited. According to Car and Driver, Volkswagen has decided to keep the old Tiguan around because Americans are hungry for crossovers, and people will literally buy anything if it is not a sedan—even if it is a model that is 10 years old. Apparently, over 43,000 people bought them last year which is a huge sales jump from 2015. Since Volkswagen likes to make money and the old Tiguan’s production is minimal, the automaker has elected to rebrand it the “Tiguan Limited” and will be aimed at buyers who want something a bit cheaper than the newer and larger 2018 Tiguan. Volkswagen’s strategy is very similar to what Nissan did in 2015 when they sold the previous generation “Rogue Select” alongside the all-new and much-improved Rogue. There is no word as of now as to how Volkswagen intends to price the Tiguan Limited, but it is likely to see some heavy discounts if it is to be positioned as a budget alternative to the new car. However, the Tiguan Limited will not benefit from the industry best six-year/72,000-mile warranty on the 2018 model. The old Tiguan really wasn’t that great. It was small, it was overpriced, and it left you with that sometimes-questionable VW reliability. But if you know what you’re getting, and you’re dead-set on buying a VW, this may not be a bad deal. I’d recommend you still shop around for something newer and probably cheaper in that size range though.